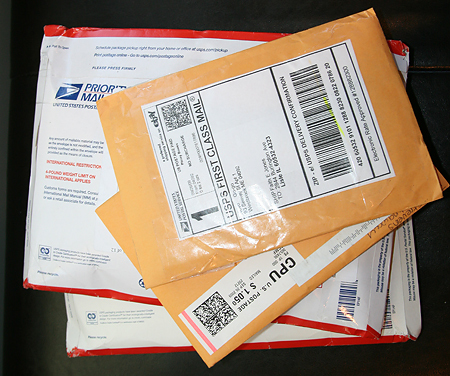 You know it's going to be a good fabric day when you see that in the mailbox. 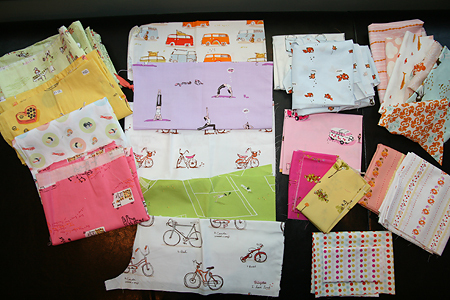 And everything was filled with Heather Ross fabrics! 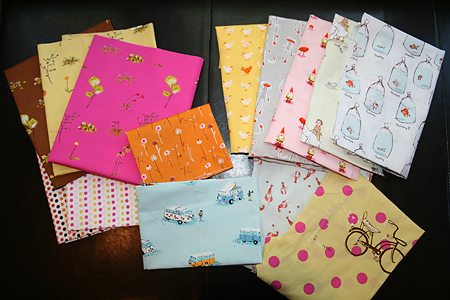 Lots of Munki Munki from Kerri at Sew Dearly Loved for my future Munki Quilt. Lots of Lightning Bugs and Other Mysteries from Quilt Home. A couple other Heather Ross out of print pieces I splurged on from Etsy. And those join my current stash. It's getting quite respectable!